John, if this is true, why do some people use quotes from certain Founding Fathers to justify the existence of the income tax being progressive? I am not really sure we had an income tax until after the war and the creation of the federal reserve. I would have to double check that. 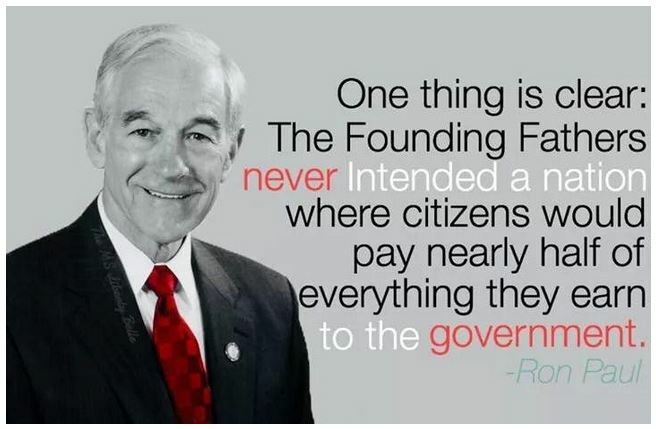 John, some people of today seem to want to use quotes from our Founding Fathers to justify the existence of the income tax. Why is this? They tried it a few times before but it was ruled unconstitutional. So the passed the 16th amendment and made the tax happen in 1913. John, the 16th Amendment was never properly ratified. The income tax is a fraud. I certainly do not like it and would cheer it’s demise and replacement. I read that the Romans did not have an income tax and the government just printed money when needed. Much simpler times back then. John, you are preaching to the choir. I’ll do my best and Thank You. Sounds good. Please be sure to tell other people about my blog. I need to visit and look around. Since we follow each other, our postings should be auto shared. Just read a good segment on Mises about the income tax. John, I know that since we follow each other’s blogs that our posts should be auto shared. If you have family or friends who love spicy foods, hot sauces and other spicy things, be sure to mention this blog to them. I have a friend at work who mentions them often. There is a locally owned store in St Charles, Missouri that has a vast amount of hot sauces from many sources. They have thousands to choose from and free tastings.